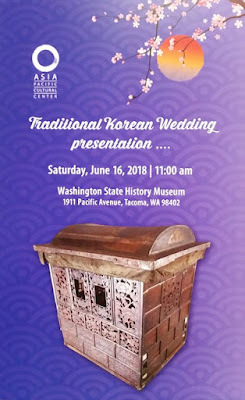 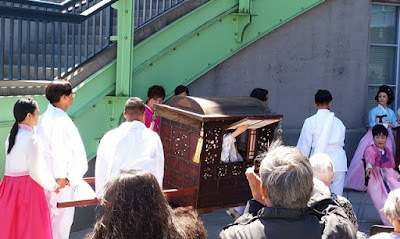 On June 16th, Asia Pacific Cultural Center (APCC) hosted a traditional Korean wedding demonstration at the Washington State History Museum to celebrate the restoration of an approximately 200-year-old Kama (가마 - a palanquin or sedan used to transport the bride) from the Joseon Dynasty (1392-1910), which would be housed at the museum. 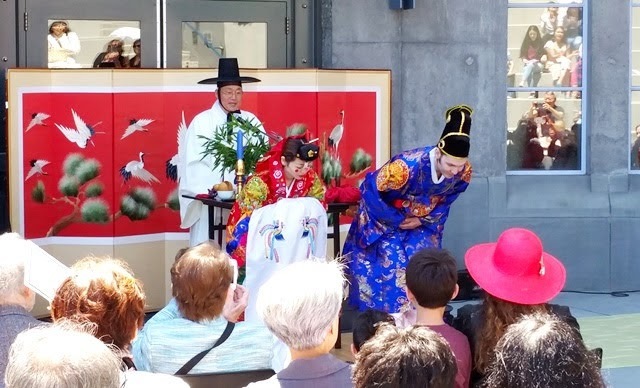 The event began inside the museum with an Appreciation Ceremony recognizing the donation of the Kama by Sandra and Bob Mattielli and its restoration and recreation by Jae Ik Song. Speakers included Tacoma Mayor Victoria Woodard and Consul General of the Republic of South Korea in Seattle Hyung-jong Lee. 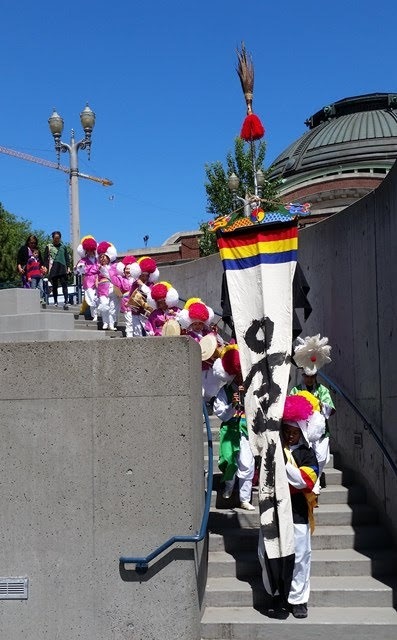 Guests were lead outside for the wedding ceremony by the joyful Samulnori group, Oolleemm. Once everyone was seated, the bride was carried over in the Kama. The wedding ceremony (Honrye) demonstration was officiated by Kyung Hoon Lee, a member of the royal family. 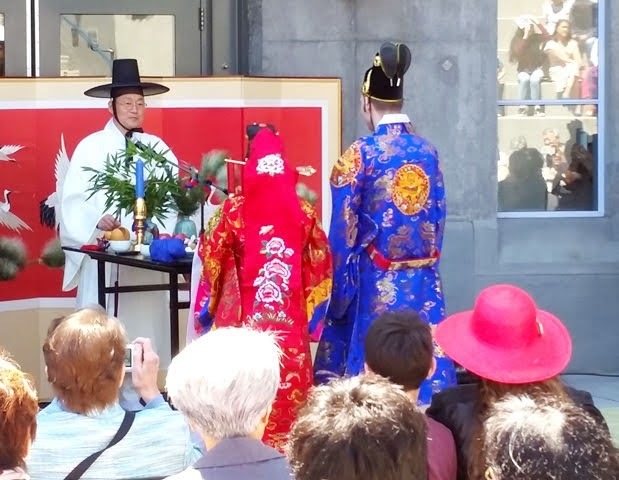 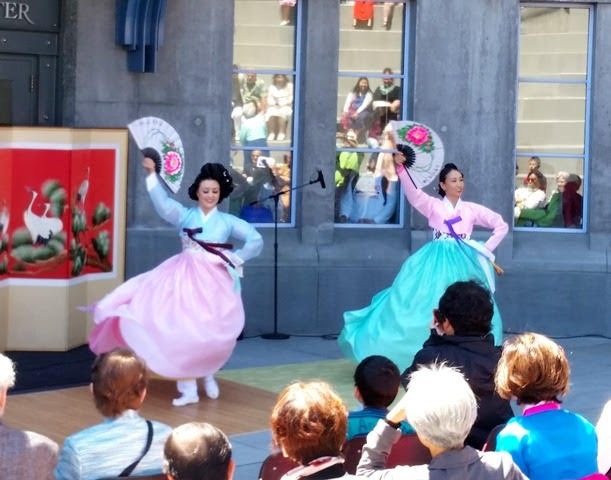 The ceremony was immediately followed by a beautiful Ip-chum (traditional Korean dance) performance choreographed by Jin-Sook Yang. The event closed with traditional songs (including Arirang, of course!) 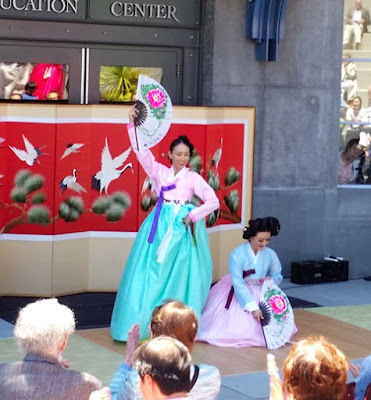 performed by Gook Ak HanMaDang featuring Da-Hyang Kwon.